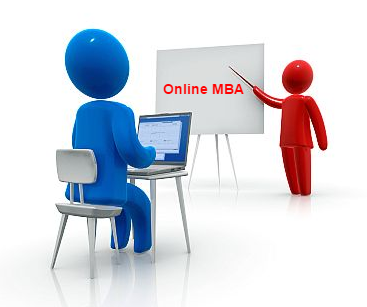 Universities conducting online MBA courses enable students to prepare for an exciting and better line of business. The students interested in undertaking this course can obtain the degree according to their wishes and convenience and plan the program without putting a gap on their career front. The students along with the corporate sector availing the online universities manage to compete with the present fast-changing and highly competitive job market. 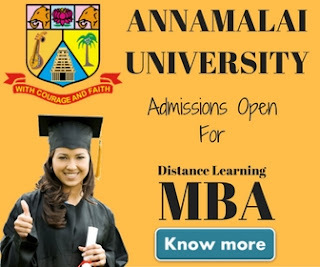 When students make a decision to opt for a course in MBA through an online MBA university, in addition to getting the ease of availing the coursework whenever and wherever it is easiest, they also are capable of pursuing several other similar MBA programs available like the conventional on-campus courses as well. Over the last few decades due to extensive application of internet, the number of online universities increased considerably. While opting for an MBA program students can now have a number of B schools to select from. It can therefore be concluded that the candidates can avail the similar high-class MBA programs through online universities. In India a number of internationally accepted management institutions offering online management courses are now present. The online MBA courses are also offered by the leading business schools in India like the IIM Ahmadabad, IIT Delhi, and IIFT. Both general as well as specialized MBA programs are offered by the online MBA program in India. Without attending the regular class room sessions, the students can avail the assignments, study materials, and feedback from the lecturer online. The online MBA course conducted by many universities provides the opportunity of interaction among the students via emails, online chat rooms, and debate and discussions that help them learn and communicate with each other in their course duration. Lot of opportunities are provided by the Distance Learning MBA Courses for students unwilling to follow a regular classroom course. Huge numbers of students are now availing distance learning courses to go well with their daily program. Several institutes located abroad, also offer distance learning MBA programs at both undergraduate and post graduate level. The applicants with graduation degree in any field having a good percentage are eligible for the course. BBA students always have an additional advantage. Applicants with a diploma in management studies are also eligible for getting admission these courses. Let me first describe why the students are giving more preferences to online mediated distance learning MBA courses. 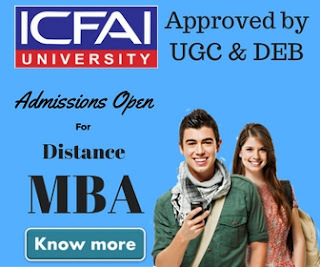 The students can avail the study materials online without visiting the respective institutes or waiting for the study materials to arrive through courier services as offered by the MBA correspondence course. The classes and seminars are conducted online by the premier institutes to enable the students go through the seminars online at their suitable time. The students can interact with their professors through e- mails at any possible time. The institutes providing distance learning MBA program conduct orientation programs and the candidates can clarify their problems by attending the programs. The candidates will obtain a very high development in their professional and corporate life. The candidates may turn out to be an entrepreneur if they can manage to undertake calculated risks. There are certain institutes that offer one year post-graduate or diploma courses for business administration and some premier institute conduct two year distance learning MBA program. The students can select the course according to their requirement. India has now become a globally recognized country for running top grade business management schools and the majority of these Schools also conduct distance MBA program. Among them IIM Ahmadabad, IIT Delhi, IIFT have been considered to be the best in offering online MBA programs in India. Based on the business institutes, in India online MBA conducts specialized programs like executive MBAs, accelerated MBAs, and mini MBAs.